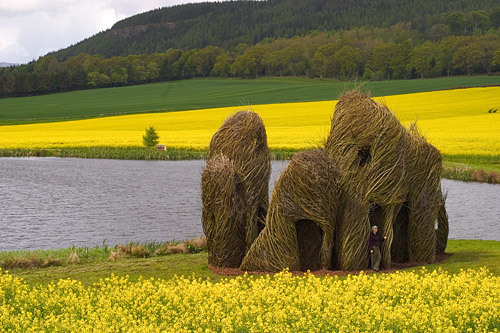 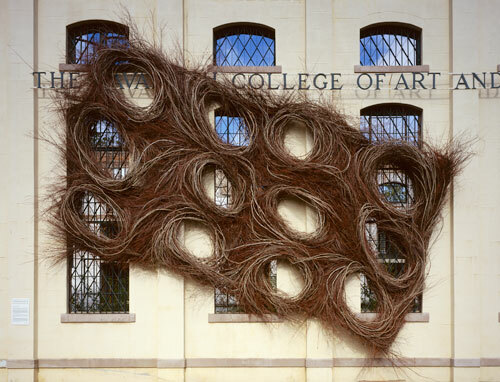 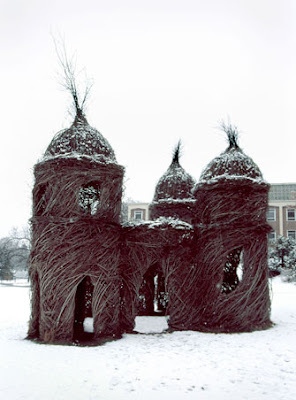 I first learned of Patrick Dougherty's work during my last semester at Purdue. During the month of April, he and a team of thirty Purdue students constructed a natural structure outside of PAO Hall. 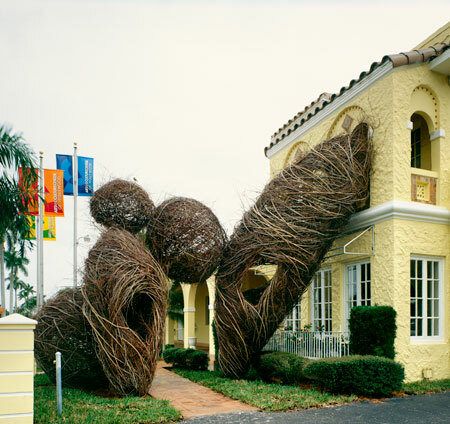 Titled "Sidewinder," the structure was inspired by Native American mounds and will naturally deteriorate over a period of two to three years. 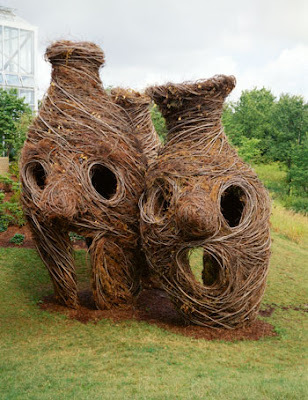 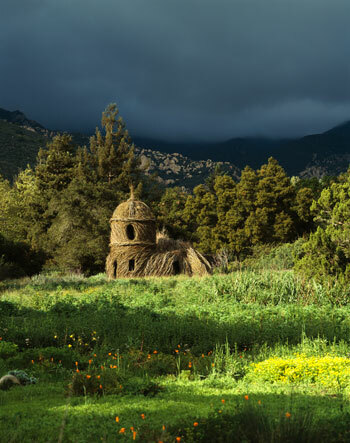 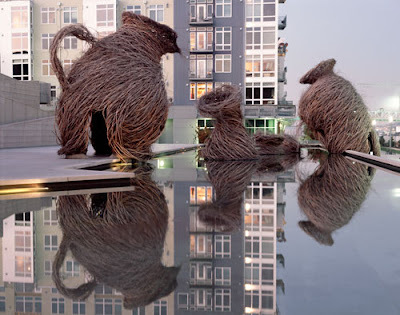 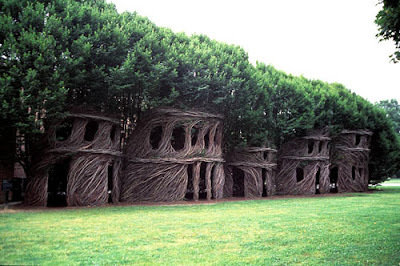 Dougherty has built more than 200 sculptures around the world since his very first sculpture, "Handmade House," was finished in 1977 in Chapel Hill, N.C. 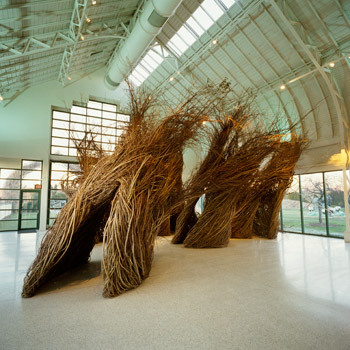 The base of each massive sculpture comprises tree saplings, which are later interwoven and braided with a variety of sticks. 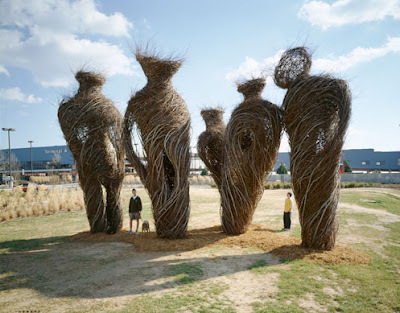 Each sculpture takes about three to four weeks to construct and, after each completed project, Dougherty asks his team to autograph a pair of work gloves. 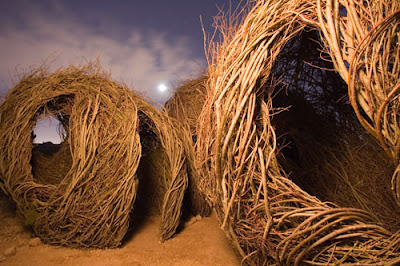 After compiling a collage of "magical" images last week, I remembered "Sidewinder" and thought to share Dougherty's work. I recently learned that I will be able to visit another one of his sculptures this summer, as "Story-Telling Hut" was constructed in 2009 in my very own Omaha. All of the images below were taken from Dougherty's website.